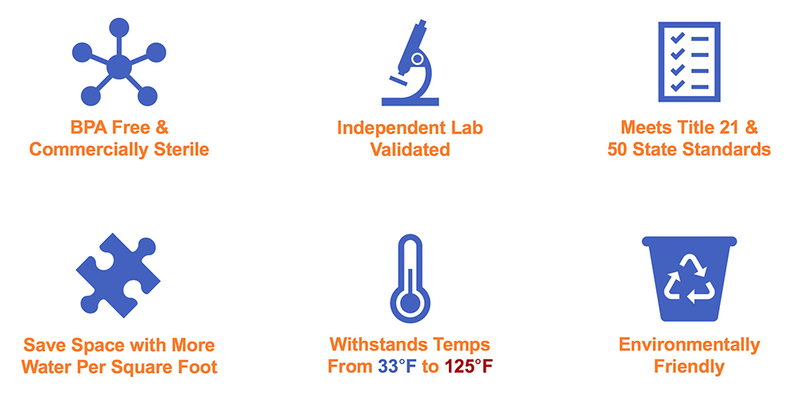 All the same features and benefits of original Aqua Literz, now with a guaranteed 10-Year Shelf Life! After passing all rigorous Title 21 plus 50 State tests and independent laboratory tests, the 10-Year Shelf Life Aqua Literz is the first emergency drinking water solution to be backed by actual proven testing standards on 10 year old water. 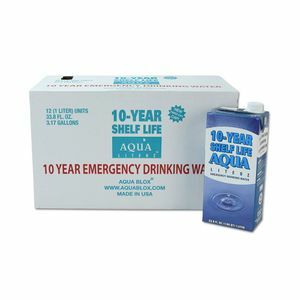 Long term shelf life emergency drinking water without the addition of additives or preservatives. All water is received from a municipal water source and undergoes a UHT pasteurizing process before being packaged into a sterile, hermetically sealed, six-layer carton.